We use the newest technology in the diagnosis by image and we count with a professional team specialized to offer our patients precise proves, liable and quality that proportionate tranquility and security. 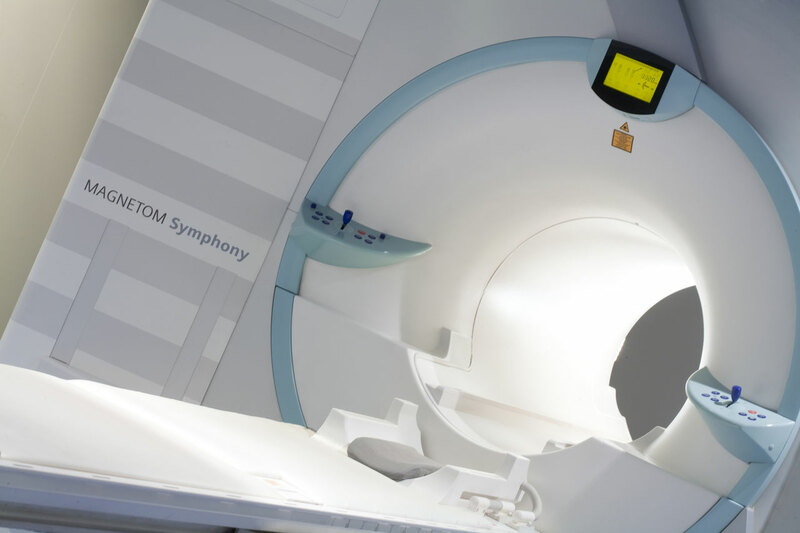 Our equipment, of a hospital level, allows obtaining a rapid and efficient diagnosis. In a time between the 24 and 48 hours, or just 1 hour with our urgency diagnosis service, we are involved to hand the results to the patient or to incorporate it on its clinic history of the Navarre Health Service. We are the only radiology center in Navarre that works with the innovator system of tele-medicine. Thanks to it, our center, allows the access to radiology doctors of first level in Spain. In Médicis we offer very precise and practically immediate diagnosis, with double lecture protocols, we optimize sources and improving the diagnosis certainty. Médicis owns to a Specialized Doctors in Radiology, led by Dr. Javier Mota, medicine doctor, MIR radio-diagnosis specialist in the Miguel Servet Hospital, sub-specialized in musculoskeletal and sport lesions, that completed its formation in Duke university (NC) and Hospital for Joint Diseases (NY). 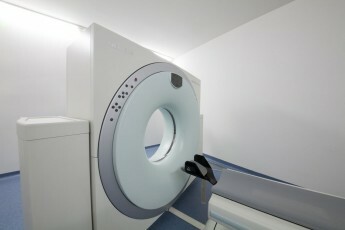 To make an accurate diagnosis, the machine combines the use of a 1.5 Tesla magnet and radio waves. The hydrogen atoms that are part of the body react to the magnetic field. Its excellent resolution allows optimal exploration of large structures, musculoskeletal, column, thorax, abdomen, pelvis and skull. Reference mark in hospitals. Its powerful magnetic field gradients and 1.5 Tesla reduce significantly the time of the study. High availability of antennas that fit any anatomy. Allows complex level studies in any hospital, with the use of one of the best contrasts market BAYER Laboratory. ABreast specific antenna that complements other techniques in the study and prevention of breast disease. Unlike X-rays, no ionizing radiation is used. Ideal for studying very thin, vascular and soft tissue structures. It incorporates helmets that soften the noise and offer a completely painless experience. This two crowns TAC obtains images of axial slices of the body through X-ray emitting a very low radiation. Instead of getting a single picture as with conventional radiography, CT scan multiple images with the rotation around the body are achieved.  The data are processed in the computer to obtain three-dimensional images of organs that wish to explore. In contrast studies contrast supply is performed mechanically with MEDRAD injector. The teams are single use. The nonionic contrast significantly reduces allergic reactions. It has an additional software for the dental bone densitometry and CT that allows viewing of the finer details for a quick and reliable diagnosis. Bone evaluation software, it allows quantifying bone density and is particularly suitable for the study of osteopenia and osteoporosis. The Siemens Ultrasound Acuson Antares ultrasound produces images of the various structures of the human body. 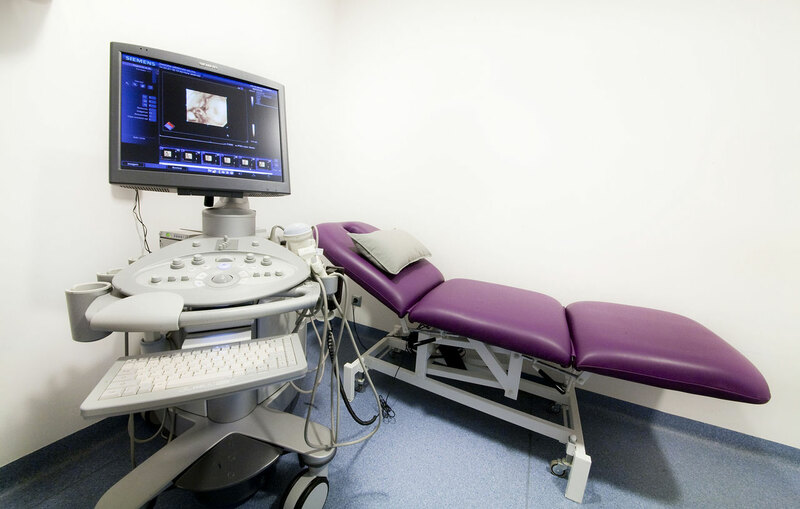 Based tests can be two-dimensional and three-dimensional diagnostic; and -in 4D- nondiagnostic ultrasound for prenatal emotional. Diagnosis is based on the emission of ionizing radiation making it completely safe for the patient. 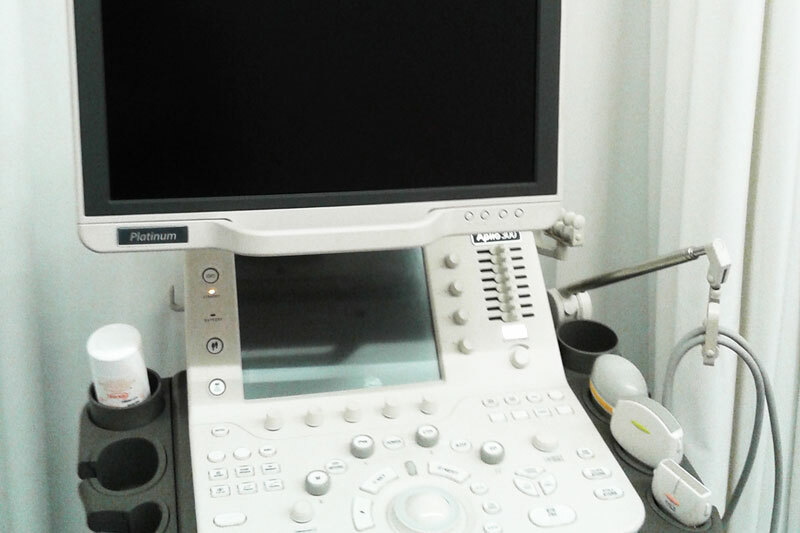 Allows any type of ultrasound at the hospital level and has a wide variety of probes (abdominal, soft tissue, 4D, gynecological). 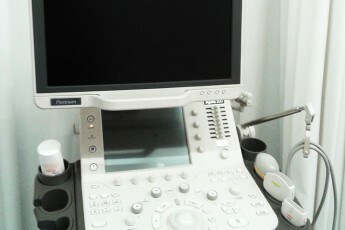 Its image quality is outstanding thanks to the Doppler and color Doppler sensitivity with excellent spatial resolution. Only in Navarre, it is particularly suitable for the diagnosis of cartilage and soft tissues of the extremities; hand, wrist, elbow, knee, ankle and foot, among others. It combines high capacity (1.0 Tesla) of equipment Length, with the convenience of a partial body of a test team do not claustrophobic, thus obtaining exceptional quality images in very short time. 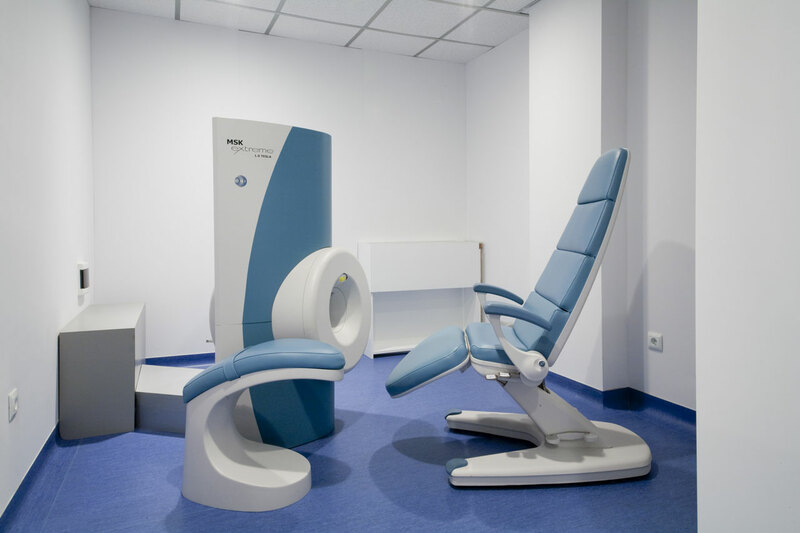 Its design allows the exploration accompanied patients, staying in a comfortable posture, avoiding awkward positions and problems of claustrophobia. Suitable for people with limited mobility, claustrophobic patients and children.